Nail punch with a square head which provides a larger striking area and stops the punch rolling off the bench. 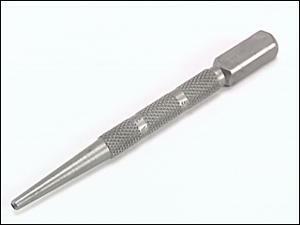 Accurately hardened and tempered with a precision formed concave tip for better nail contact. Designed to drive nail heads below surface of wood.